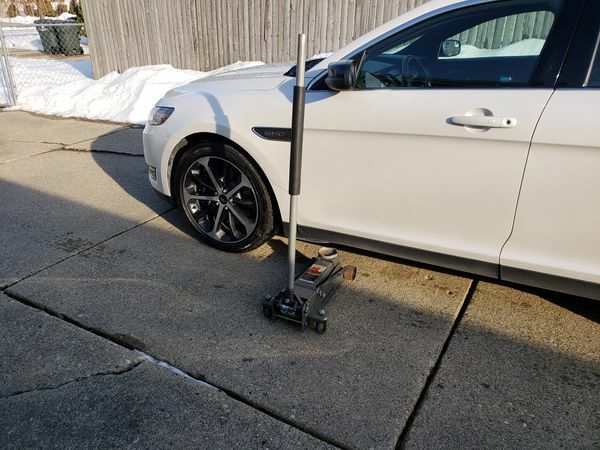 Upgrading the brakes on your 2015 Ford Taurus SHO will improve the stopping efficiency and eliminate the "wheel shake" many SHO drivers experience from the OEM (Original Equipment Manufacturer) brakes. Upgrading the brakes can be accomplished by amateur mechanics. 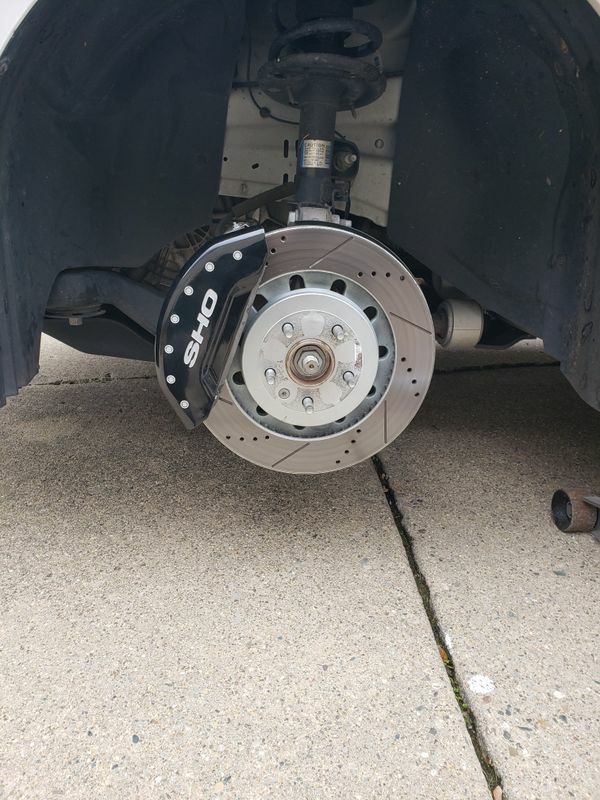 It will save you money, and when completed properly, will not only provide more efficient braking for your SHO but can also provide you with a sense of accomplishment of upgrading your own car. A kit to upgrade the brake pads and rotors will include brake pads for all 4 calipers and 4 rotors (2 front and 2 rear). 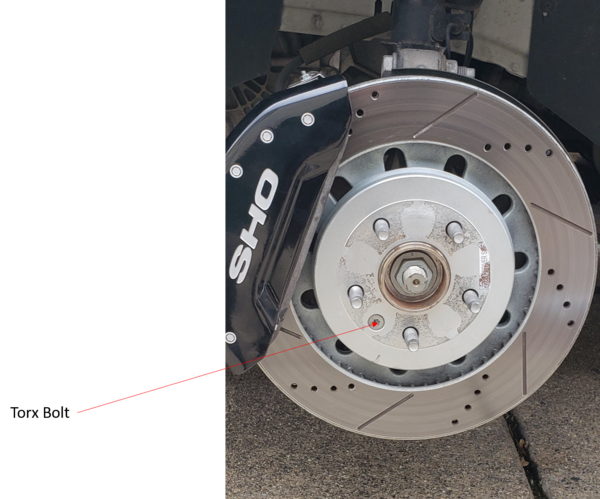 The kit will specify which brake pads are front and rear, and which rotors are front and rear and driver or passenger side of the vehicle. The kit will also include new caliper clips and some caliper bolt grease. The area must have enough room to utilize the floor jack at all 4 wheels. 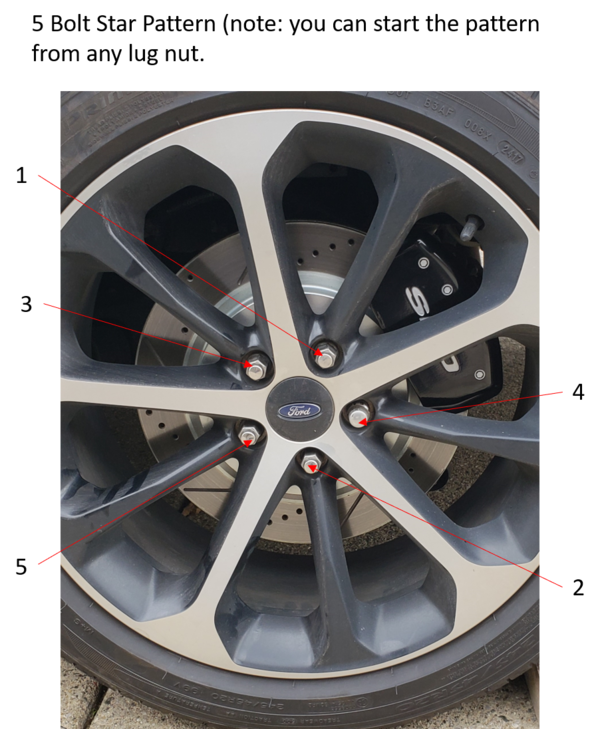 Place them in front and back of each wheel, to prevent the car from rolling while in the jacking process. This means to start the lug removal by loosening the lug until it just barely starts to loosen. Do not strip the lug nuts. 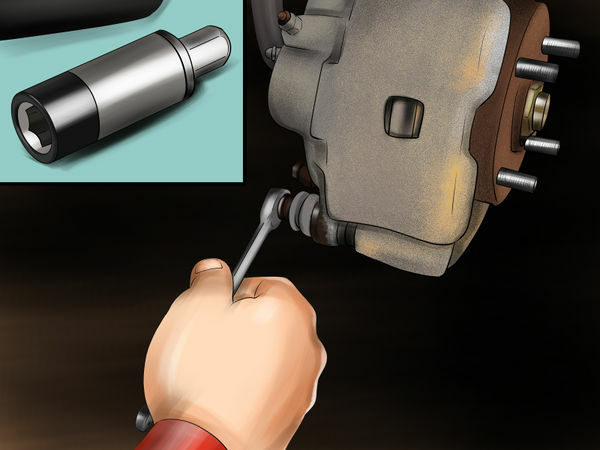 If a lug nut starts to "twist" without loosening, ensure the tool is properly on the lug nut. If it continues to happen, you might need to seek help from a professional shop. 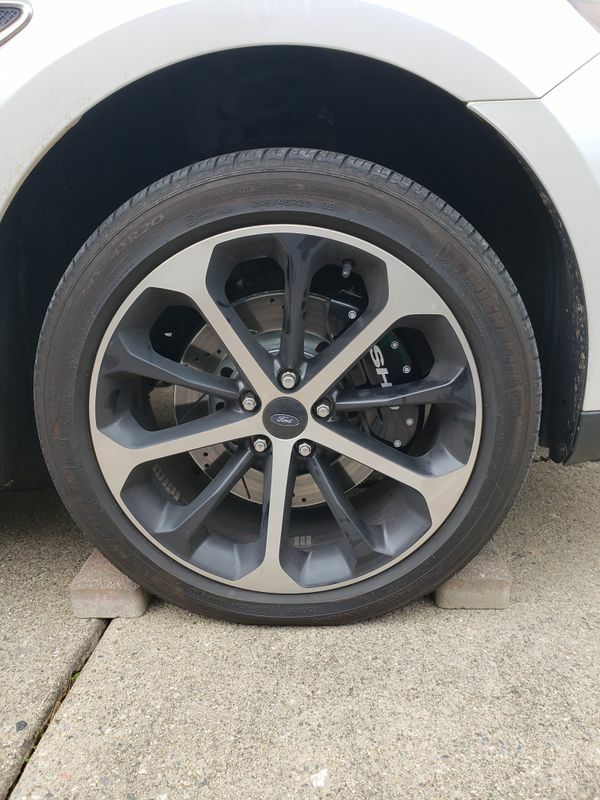 Then when the vehicle is up on the jack stands, the car will not rock while trying to loosen an extremely tight lug nut. 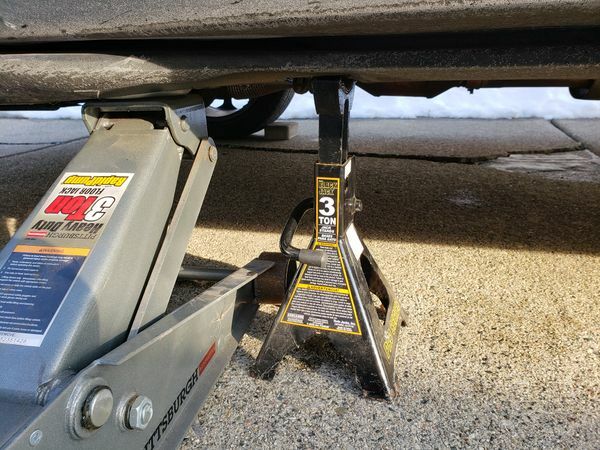 The suggested method and the most time effective is to properly place the vehicle on the (4) jack stands and perform the brake upgrade all at once. This saves time. 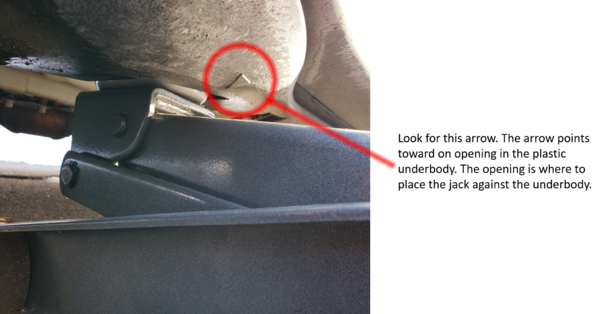 If you remove the caliper bolt, and it has a "brown burned" color and even smells, the caliper bolt might be going bad. Clean the caliper bolt thoroughly and inspect the surface for "pitting" and "bulging". The end of the caliper bolt has a groove and washer. Ensure the washer is in the groove. 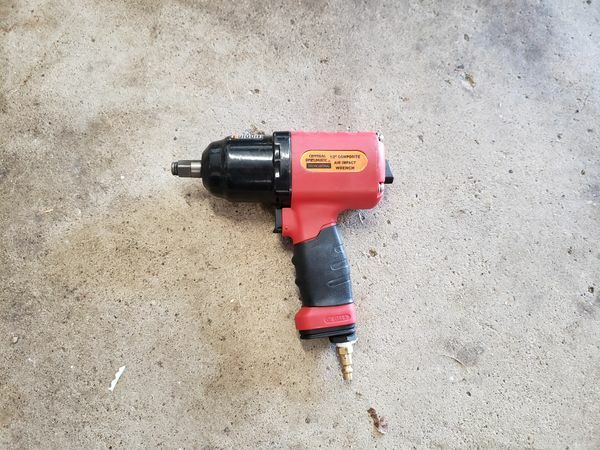 Upon inspection of the caliper bolt, if you find these symptoms, you might try to clean the caliper bolt with a wire brush and put all fresh caliper grease, or replacing the caliper bolt is the best option. Use zip ties to suspend the caliper from the spring. 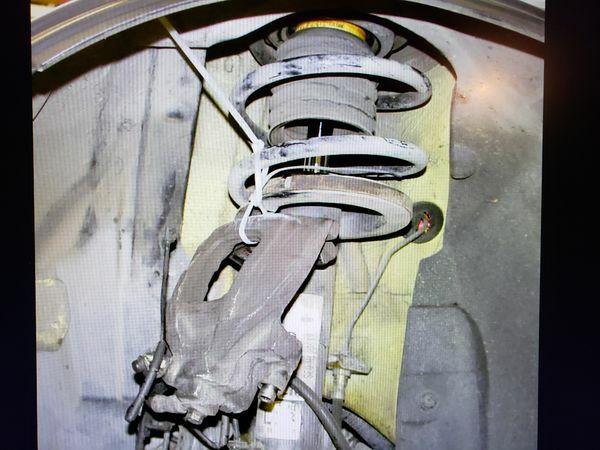 This can help prevent damage to the caliper and the brake line. You will be replacing with new ones. 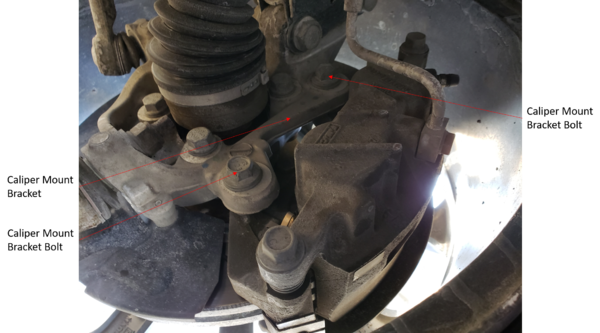 If you have uneven wear on the brake pads, or you have a "burned" look on the surface of the brake pad, you might have a caliper going pad, or a caliper bolt that is starting to seize up. 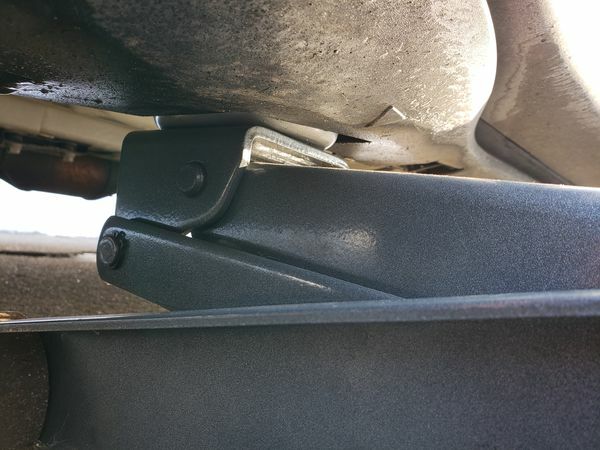 In this situation it is recommended to inspect the caliper bolts and the caliper. Clean the mounting surface of the wheel and the hub assembly of all the corrosion and build up before installing the new rotor. You must loosen the brake bleeder valve before compressing the caliper or risk damaging the caliper. Before installing the caliper bolts, clean the old grease off and apply a liberal amount onto the clean caliper bolt. Clean the mounting surface of the wheel and the hub assembly of all the corrosion and build up before re-installing the wheel. Tip, you can apply a very small amount of anti-seize on the face of the hub to prevent some corrosion. Again, use the “star pattern” method, to the specified torque recommended by the auto manufacturer.